For being only 24″ it took me almost a whole day. It is a fantastic paper-piecing (FREE!) pattern from Sew What, Sherlock. Lots of time, lots of mess and paper… but the precision is so worth it. This is not something I could do with just plain ‘ol piecing. The colors were pulled from the rug in the living room (uninspiring, but my rug IS lovely). I bound it in the only red I had that matched the color in the carpet – a 20+ year old Moda print. I am SO LUCKY the color didn’t run when I washed it! 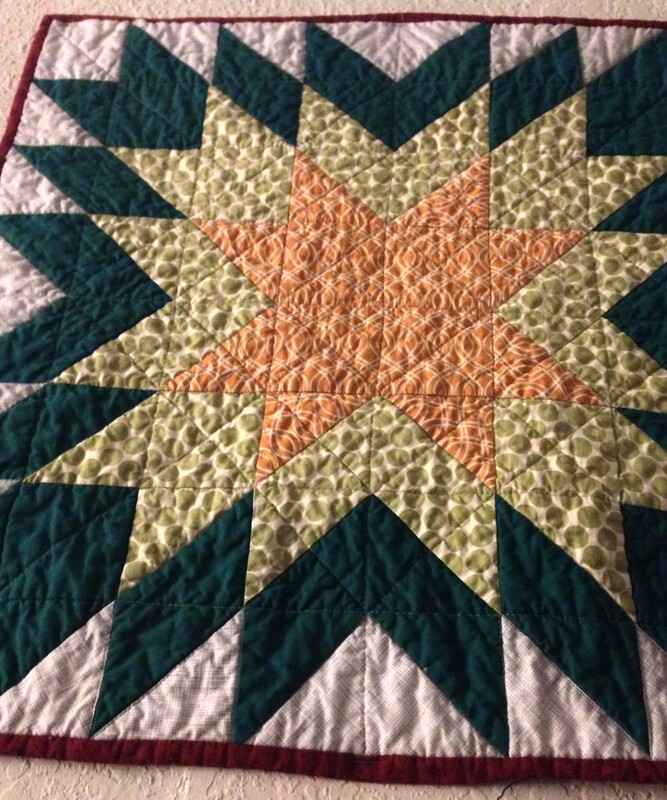 I did my favorite type of quilting – intersecting diagonal and straing lines. 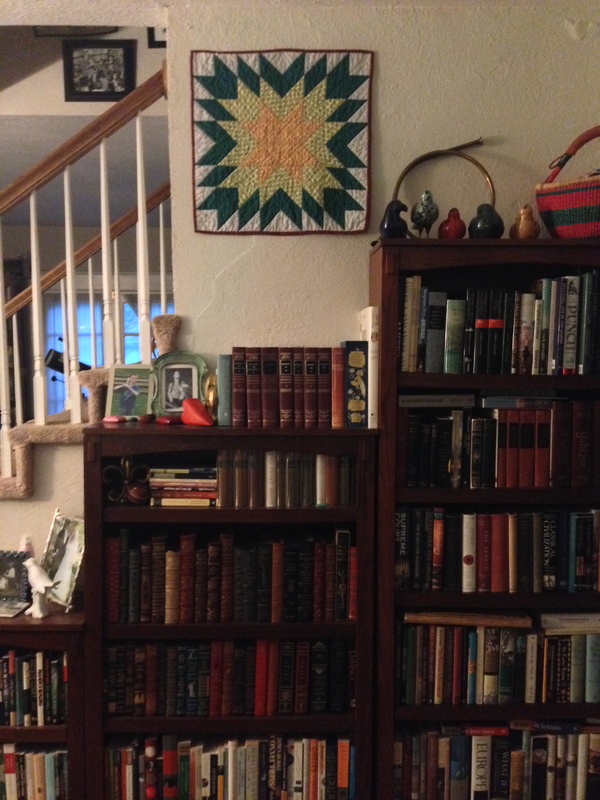 Love it, love the pattern, love the colors, love how it looks above our bookshelves. Linking up with Finish It Friday @ Crazy Mom Quilts. Previous postThursday Therapy – Big and Small! Next postCharmless Charm Pack Cherry! So cute!!! And thanks for the link to the free pattern! Looks great by your bookcases 🙂 Visiting (and new subscriber) from Finish It Up Friday! Thanks so much, Judy ! I’m a paper piecing fan for sure.